Making Sweet Sticky Nian Gao in a slow cooker. This is an updated post. We are having a virtual Sweet Lunar New Year Party . Check at the end of this post for delicious Chinese New Year food from other bloggers. Nian Gao, a sweet and sticky Chinese New Year cake, made from glutinous rice flour, water and sugar. It is also know as Tikoy (in Hokkien) or Kuih Bakul (in Malay language). Why is it called Kuih Bakul in Malay language (Bahasa Malaysia)? Kuih (coo-eh) ~ anything of traditional food be it savoury or sweet, we usually refer them as kuih. 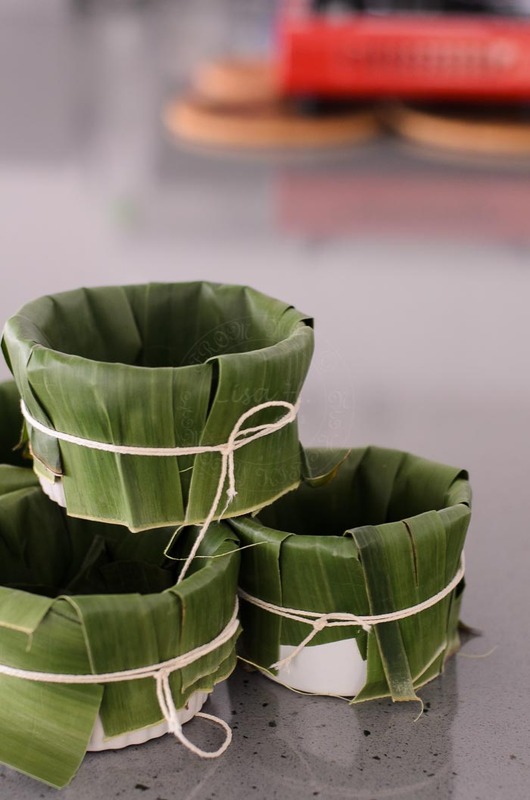 Traditionally, bamboo baskets lined with banana leaves were used as mould to hold its shape, while it sit steaming away in a steamer. Modern days, either plastic vessels are used or I would used ramekins. This sweet sticky cake can only be found during Chinese New Year celebration. I grew up in a multicultural neighbourhood. Without fail, every Chinese New Year, either neighbours across our house or my dad's friends would send us Chinese New Year goodies. A plateful of goodies would have Kuih Bangkit (Tapioca Cookies), kuih kapit (Love letters) plus the sweet and sticky Nian Gao. Chinese New Year is the only time we get to eat Nian Gao. 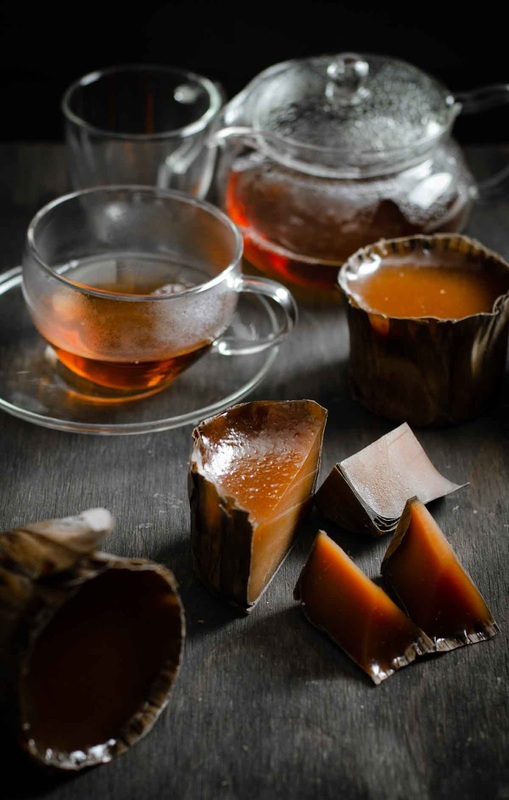 The Sweet Sticky Nian Gao has basic and simple ingredients, but it is time consuming. Another not listed and mentioned ingredient and that one must have is... PATIENCE!! Remember to grease the ramekins before lining it with banana leaves. and she did not use kerosene stove or gas stove! She used wood fire and steamer, for all her Nian Gao! Imagine... huffing and puffing to keep the fire going! ... but my plan was backfired! I was using my portable induction cooker and that 'beeping bl**d*' thing (read with angry -swear tone ;p) switched off after 4 hours! My sweet sticky Nian gao, was still pale and gooey .. no where near "Done"!!! With swift action, I transferred the ramekins to slow cooker and continue cooking until the cake turn to golden in colour (another 10 hours). 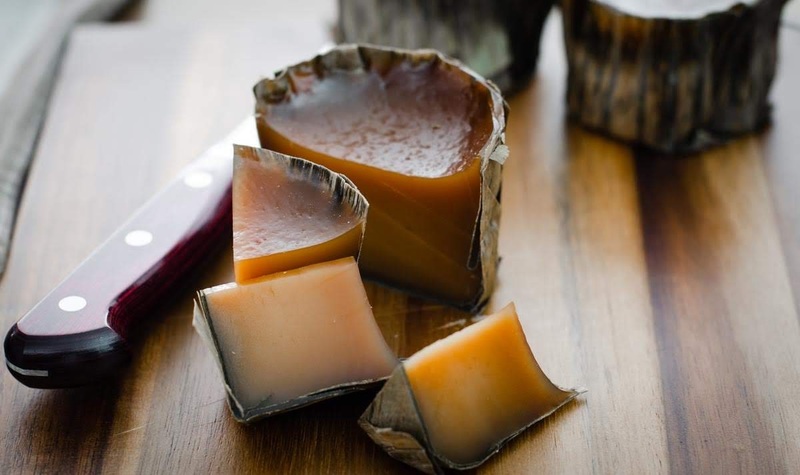 It is so much easier to steam Nian gao in a slow cooker. I have no worries.. just click and walk away. if I were to steam the cakes using conventional method, steamer and stove, I have to keep on checking water level in the steamer. my friend, is 'troublesome' and dangerous, because I can be forgetful at times! But with slow cooker, its easy... fill up water and check again after 6 hours! or fill up with hot boiling water before we turn in for the night. How do we eat Sweet Sticky Nian Gao? By slicing the hardened Nian Gao into thin slices, and just ate it as it is, like eating cheese :D.
However, my husband only enjoy eating Nian Gao, when it is thinly sliced, sandwich between equal thickness of sliced yam and sweet potato then dip into rice flour batter and deep fried! 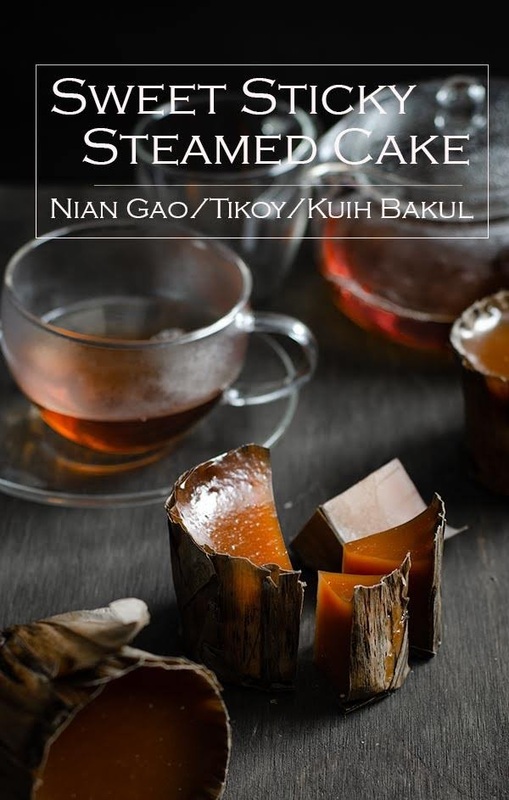 re-steam, roll the hot gooey Nian Gao in slightly salted desiccated coconut. Pre-cooking Nian gao batter yield much better caramel colour, plus the batter didn't "run" in between the banana leaves. Note : I used 4 x 1 cup (250ml) ramekins. Earlier in the post, I mentioned that we are having a virtual Sweet Lunar NewYear Party to welcome the year of a Rooster, right? Many thanks to Christine from Vermillion Roots for organising such a fun event :D.
So... come and join us and lets celebrate and PARTY :D.
Sweet sticky Chinese New Year Cake that is made of glutinous flour, sugar and water. It is cook by steaming for 10-12 hours, leave it to firm by sunning for another week or two before consuming. Add hot boiling water to the slow cooker. Gently and carefully lower the filled up ramekins with Nian gao batter. Cover and steam for 10-12 hours. Fill up with water when needed. 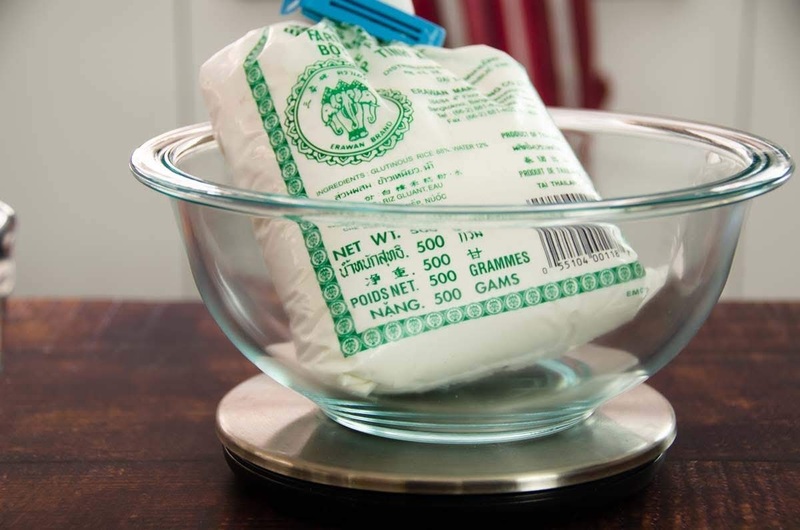 Leave the Sweet sticky cake in its ramekin to cool completely (preferably 48 hours) before taking out from ramekins. Dry in the sun for at least a week. It's ready to eat when its firm to touch. Wash and wipe dry banana leaves. Heat each fronds over low fire to make them malleable. What a great idea - making this in a slow cooker - will have give this a try! 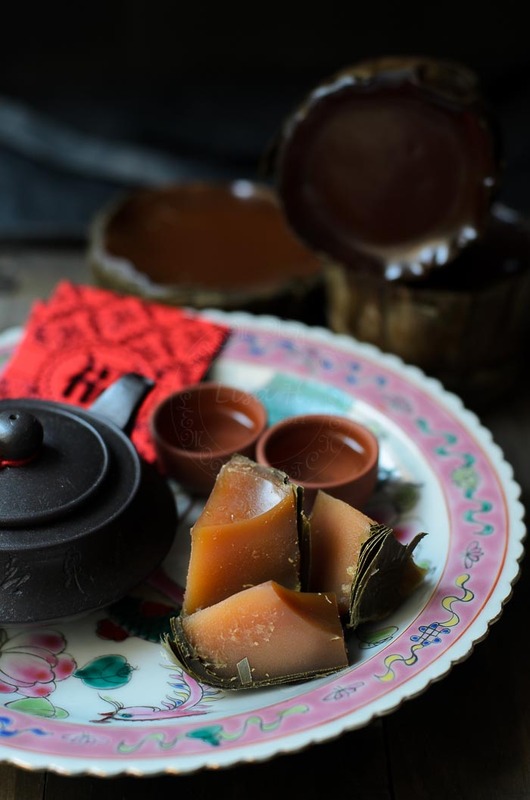 Your nian gao looks so professional and exactly how I remember them from Malaysia! Can I use coconut sugar instead? 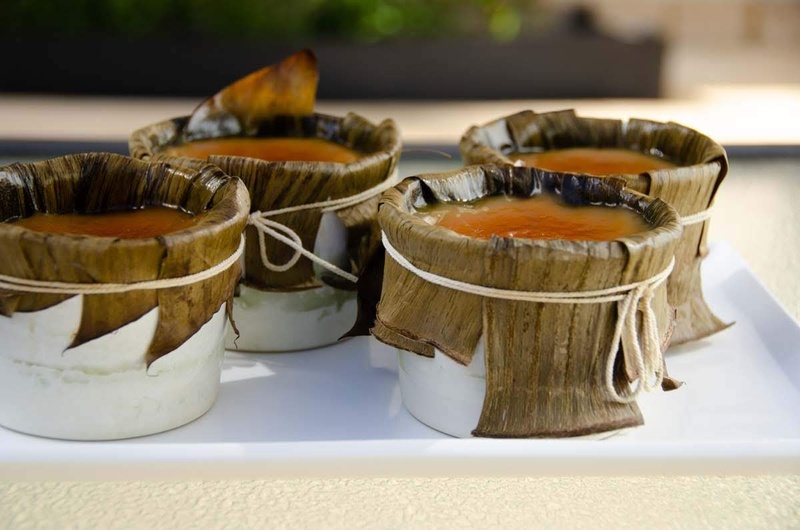 Hi Lisa, Your nian gao looks awesome and I've never thought that slow cooker can makes nian gao before. Thank you for sharing this recipe. I love that beautiful caramel colour! The banana leave is such a fine touch. BIG YES to these! 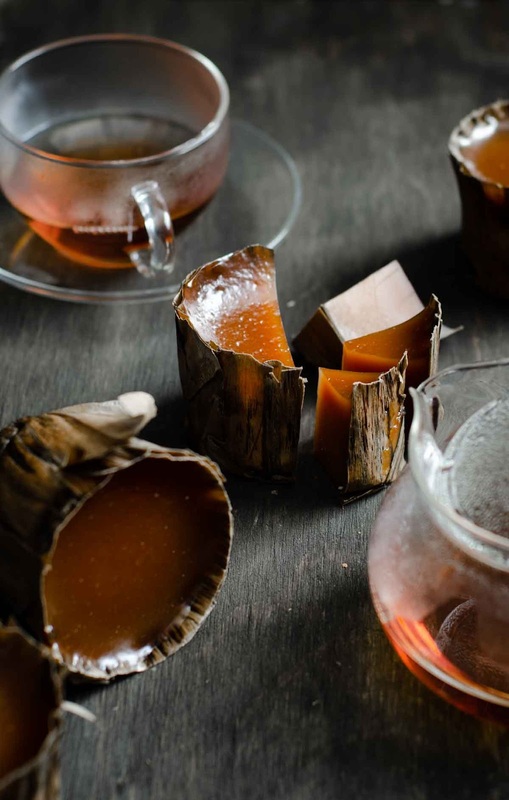 I love nian gao made with banana leaves. So fragrant !!!! OMG, these nian gao looks super awesome. I can't even dare to try making it. haha.... Love how's the colour turns out and the texture is perfectly done. Kudos, Lisa ! Wow, these look great! Happy new year! This is beautifully documented. We also have similar cakes cooked this way! And I didn't know you could use a slow cooker for this. You're awesome! Nian gao is so delicious! Love your slow cooker method. I have never seen nian gao make in banana leaves. They sure look gorgeous and I am sure they must taste extra good! There's no one selling banana leaves in my town. 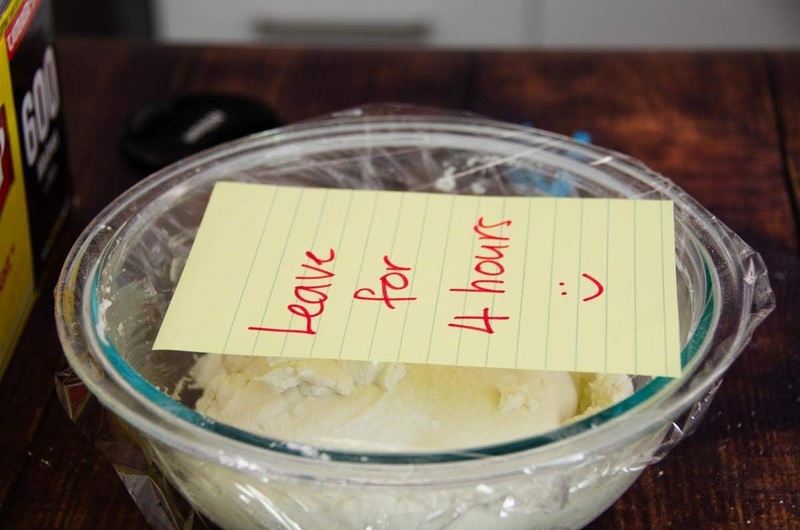 Do you think an oven bag could be used to line the ramekins? Oh, I love how beautifully your nian gao turned out! I like how you tied down the leaves to hold them in place and how tiny the cakes are. Happy #sweetlunarnewyear! Please advise to cook the flour mixture in medium heat for how long? Cook until the flour mixture thicken (custard like consistency). This is amazing, you know I'd never heard of it? I am intrigued by the taste and texture... I doubt I would make it, too insecure to do it... seems very very involved.